Spray a 8×8-inch pan with nonstick cooking spray. Arrange potatoes at the bottom of the dish. 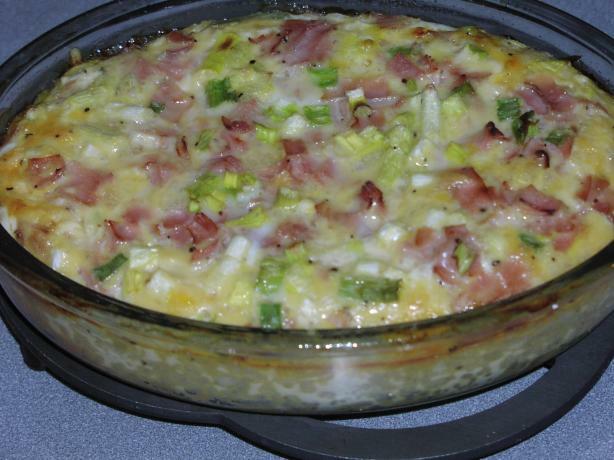 Sprinkle with cheese, Canadian bacon and green onions. In large mixing bowl, combine eggs, milk, salt & pepper; pour over potato mixture in dish. Bake uncovered in a 350°F oven for 40 minutes or until center appears set. This looks great. Can I substitute coconut milk for the evaporate milk?